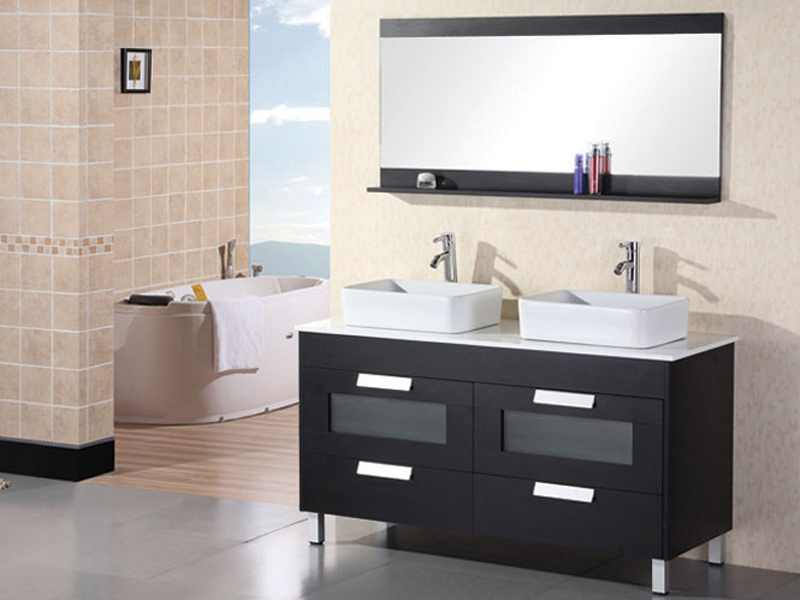 The 55" Francesca Double Vessel Sink Vanity brings forth the very best of modern styles to give you a vanity that outshines the rest. 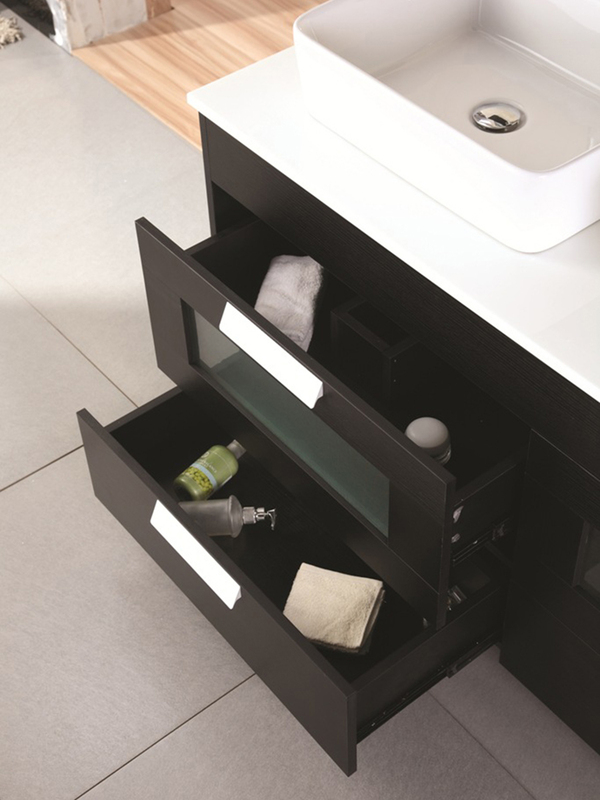 Its beautiful cabinet is made from solid hardwood with a black finish and features 4 pull-out drawers that are accented with metal drawer pulls and glass panels. 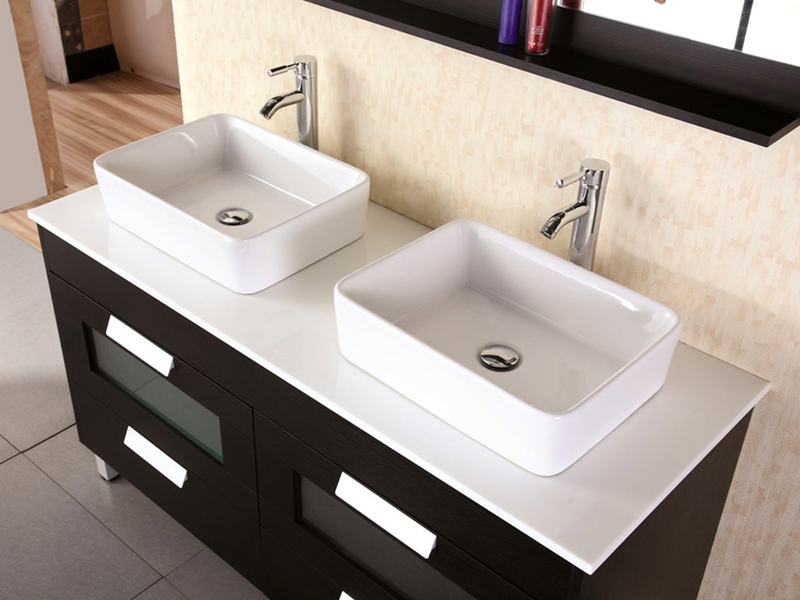 The top is made from composite stone, showcasing the beautiful designer porcelain vessel sinks. Includes matching mirror.